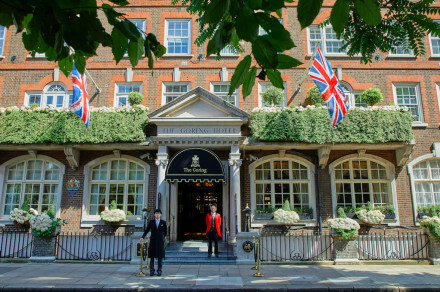 “Stylish boutique hotel in the heart of Marylebone with exotic bedrooms styled by internationally recognised designers. 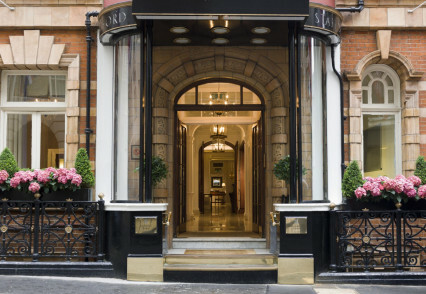 Convenience is key at the Mandeville, slap bang in the middle of Marylebone and minutes from Bond Street and Selfridges. If shopping is your thing - look no further. And for culture vultures there's plenty in easy reach, with The Wallace Collection and Wigmore Hall just streets away. The grand looking building masks an unpretentious and somewhat kooky interior - bright leather sofas, pop art prints, an oversized toy car and marble floors fill the lobby. Four Christian Lacroix-designed Riviera rooms on their own floor are the highlight here. Bright colours and bold patterns confront you the moment you step out of the lift. Each room has a different theme (Jardin Exotique, Midnight Blue, Jewel Box, and Classic Lacroix.) Otherwise there are 138 rooms across eight categories, ranging from single to terrace suite. These rooms are much plainer and less spacious, though comfortable nonetheless and equipped with Nespresso machines and wall-mounted televisions. Bathrooms are also on the small side, though with the full range of smelly toiletries and white fluffy towels and robes. Selfridges and Bond Street round the corner.